Ok, I’m going to be frank here. I live in an area that is a little bit…behind in the trends. Thankfully, Pinterest and blogs are available to everyone all over the world, so styles and information are more readily available…but that also means that people tire quickly of trends. What a conundrum! When it comes to your wedding tabletop ideas, I have a few suggestions of small changes to make that can be high impact (and some easier on the budget!). Take a peek! I had a fabulous time on a recent trip to Sonoma County, California. I was a guest of Off the Beaten Path Signature Experiences via Venone PR, and it was overall a truly inspirational time! Stephanie, owner of Off the Beaten Path, often uses Encore Events Rentals, and we were able to visit their fabulous studio, which was chock full of ideas. Here are a few of my favorites via photos by Krista Marie Photography. If you want more of a minimalistic look or have so many things to put on the table, utilizing clear items may be the key to a less cluttered tablescape. Think clear glasses, candle holders, geometric pieces, napkin rings, and table numbers. This is somewhat of a “more is less” approach that I love! Going clear doesn’t mean sacrificing detail. Use patterned crystal and other pieces that add dimension to your wedding tabletop without adding weight. Beautiful! Fancy napkins, unite! Don’t be afraid to add in texture, color, and pattern with something as seemingly simple as a napkin. I love the idea of using a pattern, and you will also see a variety of textures. Not a fan of a high impact napkin? Check out the first brown napkin below – it has colored stitching without being overly dramatic. Also, I adored the different napkin folds. Some were casual and others fancy, but in my book, they all add impact. My favorite by far is the top gingham one with the large knot. And, if you don’t want to draw too much attention to your fabric napkins, fold it neatly, and place your wedding menu on top. Viola! Do you need multiples? Rather than purchase all the same candleholder, glass, or vase, why not choose similar ones that have variations? 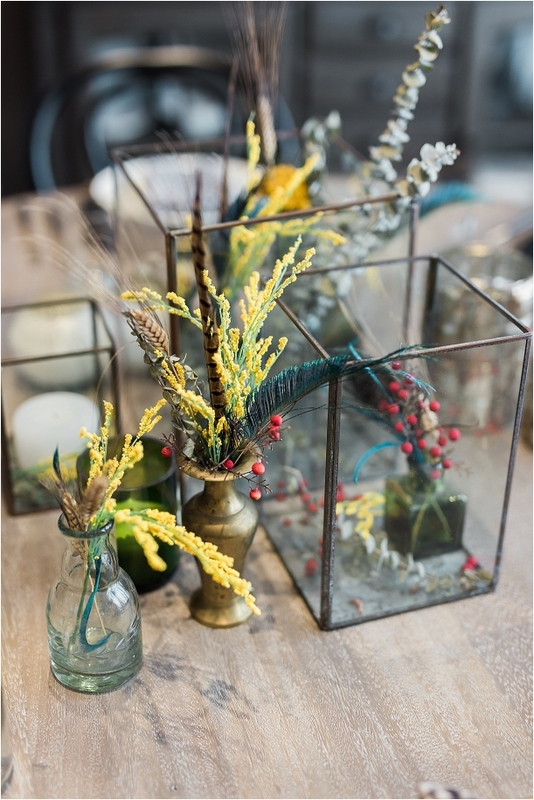 It’s a great way to add an eclectic vibe to your wedding tabletop while offering a bit of interest. It’s also a fabulous time to add in a pop of color, as you will see with the lone blue glass mixed in with clear ones. Oh…take note of the silverware at the place settings. Such pretty choices! Greenery was a Pantone color of the year a while ago, but it’s definitely a trend that is here to stay! Utilizing greens in big and small ways can be fabulous for adding in a bit of color and texture while not breaking the bank. Whether you choose a large arrangement, spread greens down the center of the table, fill tiny vases, or just lay a sprig at each place setting, using greens can be a fabulous way to do a little bit that goes a long way! When you are curating your home, you start out with several pieces, but over time – through travels and life experiences – you will begin to integrate other items into your decor, which creates the feeling of a collection. 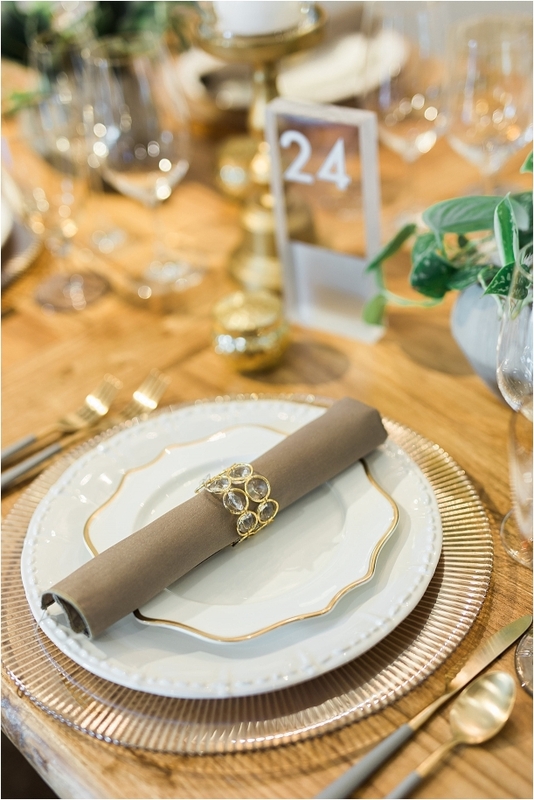 I adore this “found over time” illusion, and it’s a great look to think about for your wedding tabletop. All of the types of items in the image below can be found at estate sales and antique shops. And take note of the subtle purple color story. Love it! Also, for those of you who are curious, take a peek at the types of items offered at Encore Events Rentals. I love their selection of plates, glasses, and silverware for your wedding tabletop. Virginia gals, I’m hoping that these trends and types of pieces make their way to us soon. So lovely! I also wanted to share one last photo! Often, we build relationships online and hardly ever see each other in person. Such is the case with Chelsea of Tidewater and Tulle (another Virginia wedding blog!) and Brittny of Love Inc. (an equality minded publication). I highly suggest you take a peek at their blogs, too. If you would like to see more from my Sonoma County experience, be sure to take a peek here. LiveLoveAndAdventure - Such cute ideas! Sometimes little touches can make a big difference, and it’s not always about how much money you spend. Inexpensive can be beautiful as well! 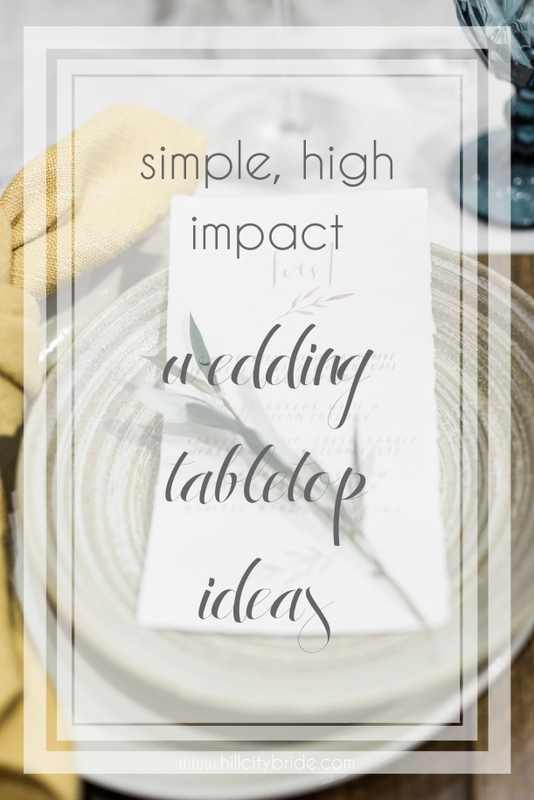 Anita | Simplisticly So - Great ideas, for any table decor, really! They will come in handy the next time I’m hosting. Thank you! 🙂 I really liked the black and gold plate with the checkered napkin. Nina - I definitely agree about Pinterest and blogs. You can be anywhere in the world and get inspiration. I love the napkins in these ones. They’re so perfect and really set the tone for the wedding guests. Monidipa Dutta - Simple yet pretty. If I ever plan to get married then I will keep these in mind. Melissa Bradbury - There are some stunning pictures and great tips on this page. I love the arrangements! John Sallie - Count me in for both Greenery and Feel of Found. I love the feel of natural. Adam Brock - Beautiful! Nice resource here for wedding ideas. The artful arrangements and designs were fun to look at. Abira Nasir - So elegant and classy. I love all the suggestions – especially choose the same but different. Adding green to your decoration is also a good idea if you really want to keep your decoration alive and happy. Jelena - What wonderful ideas for a perfect dinner. I’ll have to use some and be romantic again! David Elliott - Some of these wedding centerpieces are amazing. I really love the elegance of them as well as the simplicity of the design. so beautiful. fashionandstylepolice - I am loving the wedding tabletops ideas here. It is making me want to get married again. Jean - These are some really lovely ideas for wedding tables! I had so much fun creating mine for my wedding. Nicole Anderson | Camping for Women - Some really lovely ideas included here. I personally like the classic and elegant approach to decorations at a wedding. You really can’t go wrong with that and you have certainly shown some wonderful pieces in this post.